Rune Translation – Illuge let be raised the stones after Björn, his/her brother, and Gilläg after his/her son. Additional info – This stone was once walled in the church wall behind where it now stands. It was carved by the Runemaster Fot. 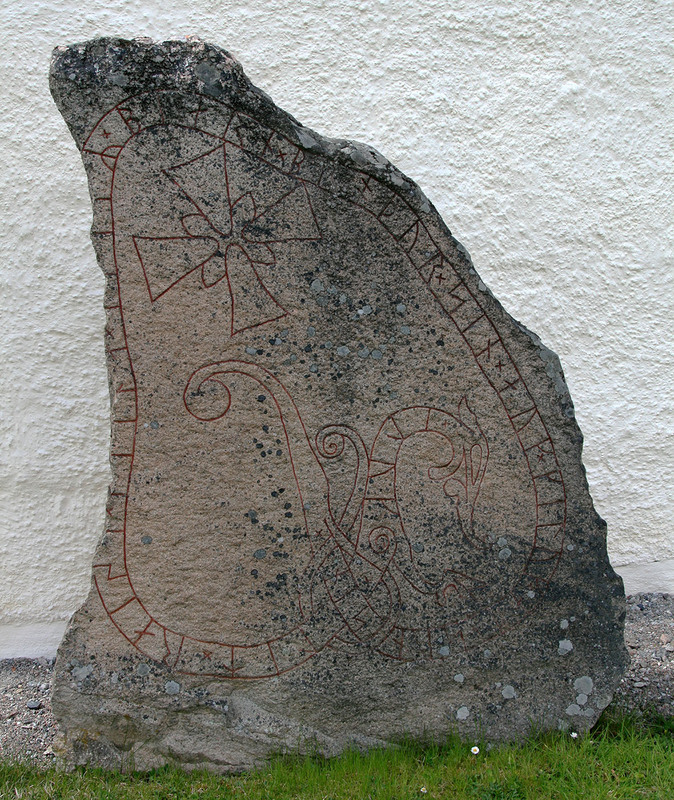 Gillög and Illunge raised two runestones as well as building a bridge and mound in memory of the son and brothers.